A wet Sea Lion and a dry Sea Lion have a very different look. The short dense fur is a sleek, smooth grey when wet, and a rough brown when dry. 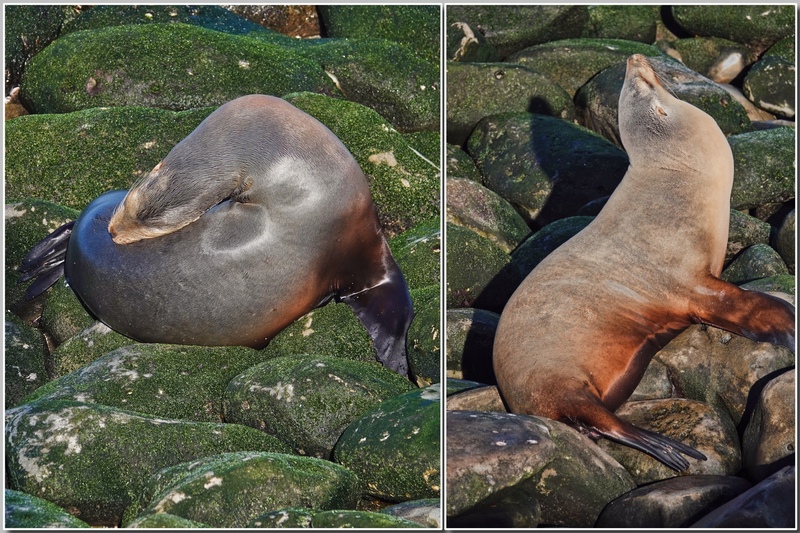 These two were on the rocks at La Jolla Cove in southern California when I visited the end of February and show the difference clearly. Sony Rx10iv at 600mm equivalent. Program mode with my custom birds in flight and action modifications. 1/1000th @ f4 @ ISO 160 and 1/1000th @ f5 @ ISO 100. Processed in Polarr and assembled in Framemagic.